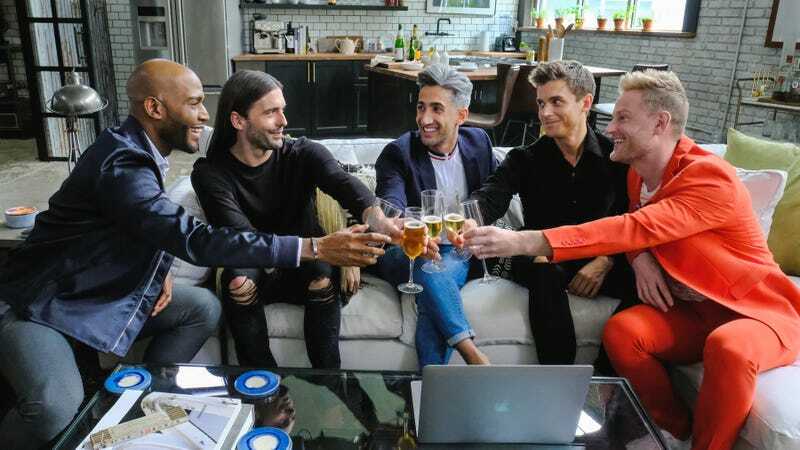 Those in need of a good, cleansing cry, take heart: You won’t have to re-watch the coming-out scene at the end of Queer Eye episode four forever. Relief is coming in the form of a second season for the life-affirming makeover show reboot, which Netflix announced earlier today as part of a slew of reality renewals. Also dropping onto the streaming service at some indeterminate point are second seasons of topical docuseries Dope and Drug Lords, comedy/baking show hybrid Nailed It!, and nostalgia rush The Toys That Made Us. And, well, that’s about all we know for now. Until these shows just sort of show up on your Netflix homepage, remember: There’s nothing shameful about using a little concealer now and then.